Hearken is committed to hearing life with passion. As such, we provide much more than just hearing aids, we provide hearing rehabilitation. Most people think that getting hearing aids will be like getting a new pair of glasses. Unfortunately, it is not that simple. You have probably heard of many people that have been unhappy with previous hearing aid purchases. Many of these unhappy hearing aid users were not provided the necessary rehabilitation to their hearing. 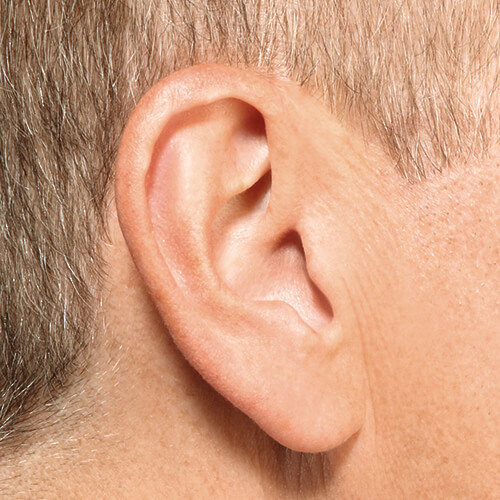 Most people with hearing loss have had trouble hearing for years, and their auditory nerve has started to atrophy. Just like a muscle that is not used will get weaker, our ability to hear after years of hearing loss becomes weaker, and is in need of rehabilitation. If proper aural rehabilitation is not provided, one of two things is likely to occur. The hearing aid wearer will hear slightly better than they did without hearing aids, but still not as good as they could be hearing. At Hearken Hearing, we firmly believe in the value of aural rehabilitation, and we will work closely with you over the course of weeks, months, and years, to provide the proper amplification. Dr. Pettit and his staff are extremely kind and helpful and make me feel very welcome. Dr. Pettit is always willing to spend whatever time is necessary to make any adjustments I need and to be sure I am completely satisfied with my hearing aids. I highly recommend the services at Hearken Hearing!! Hearing aids are instruments that amplify sound and assist with speech recognition. They come in many shapes and sizes, and are customizable to meet specific hearing needs and preferences. Generally speaking, all hearing aids contain the same components: receiver (microphone), amplifier, speaker, battery, and program/volume control. Hearing aids function in the same way your auditory process does. First, sound is picked up by the microphone. This sound is then amplified and fed to your ear by the speaker. The sound your ear receives is processed by a chip which uses algorithms to balance and clarify sound. The hearing aid is powered by a battery. Hearing aids come with many different features, as well. Telecoils are an optional feature; these allow your hearing aid to connect to a hearing loop system, an assistive listening system that feeds amplified sound via electromagnetic waves directly to the hearing aid. Some hearing aids come with wireless features, such as Bluetooth, which allow you to connect to your smartphones and personal electronic devices. These also assist in the amplification of sound. Hearing aids are worn in several different styles in your ear. Receiver-in-canal (RIC) hearing aids look like BTE hearing aids, but there are some minor differences. The plastic casing worn over the ear holds the microphone and amplifier, while the receiver rests in the canal. The receiver picks up sound through thin electric wire encased in plastic tubing, which is fitted in the ear canal. Like BTE hearing aids, RIC hearing aids offer ease of control and discreet design. They may also be inconvenient for glasses-wearers. 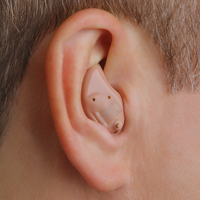 In-the-ear (ITE) hearing aids are available in two styles. 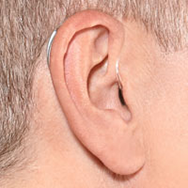 Full shell and half-shell ITE hearing aids are worn in the open face of the ear. They are made from a custom mold of the wearer’s ears. As such, they are more visible than BTE or RIC models. ITE hearing aids treat mild to profound hearing loss. While ITE hearing aids accommodate people who wear glasses, because of how they are worn, they may pose difficulty for people with dexterity issues. The program controls on the hearing aid and the battery door are generally smaller. In-the-canal (ITC) hearing aids are one type of ITE hearing aids. Customized to a mold of your ear canal, ITC hearing aids sit deep in your ear canal and are usually not visible. ITC hearing aids are available in completely-in-canal and invisible-in-canal styles. Because they are worn deep in the ear canal, they accommodate active lifestyles and offer discretion as they are usually not visible. ITC hearing aids treat hearing loss degrees from mild to severe. Due to their small size, removing them, changing batteries, and switching between programs may be difficult. Behind-the-ear (BTE) hearing aids are made of two main parts. 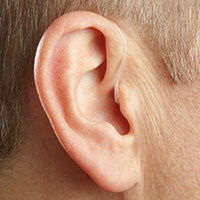 The electronic components of the hearing aid are housed in a plastic casing, which sits on the back of your ear. The sounds received will be fed through a plastic tube that sits in your ear canal. BTE hearing aids accommodate a wide range of degrees of hearing loss, from mild to profound. The way they are worn is preferred for their discretion, as they are often barely visible. BTE hearing aids are also very easy to control, which makes them preferable to people who experience dexterity issues, such as arthritis. Unfortunately, because of their positioning on the ear, they may be inconvenient for people who wear glasses. We offer hearing aids from a number of the leading manufacturers. 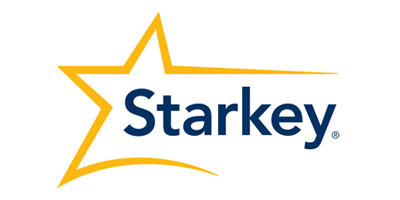 Starkey is an American manufacturer of hearing aids, based in Eden Prairie, Minnesota. Recently, they introduced the new line of hearing aids, Muse Made for Life, designed to give wearers an enriched sound experience. Starkey is well known for their Halo2 Made for iPhone hearing aid, which won the Silver Edison Award in 2015. 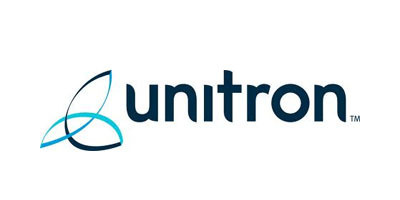 Unitron is a Canadian manufacturer of hearing aids, based in Ontario. Unitron focuses on aesthetics, comfort, and intuitive functionality in their hearing aid design. The new North processing platform provides wearers with a full range of real world sounds without distortion. 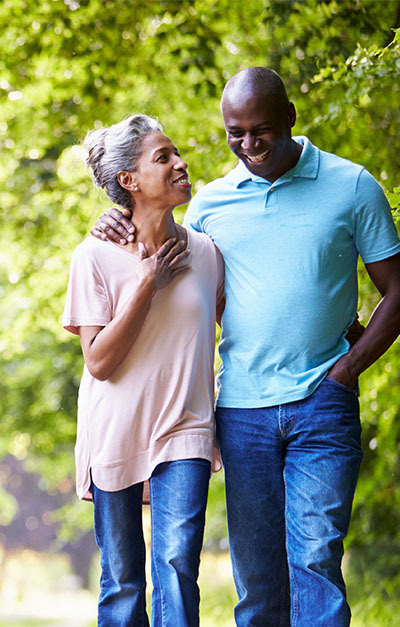 Unitron hearing aids such as Stride, Moxi, and Max are customizable to treat different degrees of hearing loss, giving wearers binaural spatial processing and improved speech recognition. 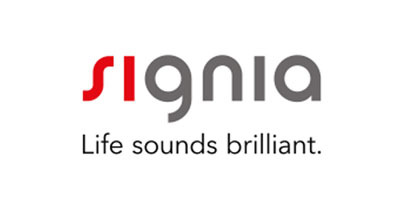 Signia is the latest hearing aid brand from Sivantos Group, the parent company of Siemens. Signia’s Primax is brand new and proven to lessen listening effort for wearers. By supporting the brain in the auditory process, Primax allows wearers to hear and remember more. Primax is also endowed with improved speech recognition, reverberation protection, and several music listening programs. 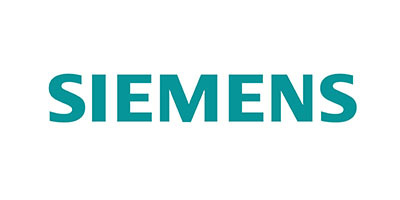 Siemens is a German hearing aid manufacturer, with over a century of experience. The Siemens binax hearing aid was the world’s first hearing aid to outperform normal hearing, an innovation that was rewarded the Gold Edison Award in 2015. Siemens also offers the Aquaris, the world’s first fully waterproof and shockproof hearing aid. The Danish hearing aid manufacturer, Widex, is well known in the industry quality hearing instruments equipped with advanced technology. Widex hearing aids offer a natural, comfortable sound. Widex is well known for their Zen tinnitus therapy, which provides relief for people suffering from ringing in the ears. Oticon manufacturers high-end hearing aid technology to help you make the most of your relationships through easy listening. Oticon offers a wide variety of hearing instruments in several technology levels, and wearing styles. GN ReSound, the Denmark based manufacturer, has produced an array of innovative technologies since it’s founding in the 1940’s, including Wide Dynamic Range Compression and made for iPhone hearing aid technology. ReSound is well known for it’s made for iPhone Hearing Aid, the ReSound LiNX2.